So you forgot order an advent calendar in time, or maybe you can’t deal with shelling out over $20 each year for a single calendar. Or perhaps you simply can’t find an advent calendar that meets your allergy or other dietary needs. No matter the reason, I’ve got some fun solutions for you to make your own chocolate advent calendar! Naturally mine is dairy-free, but you can make it vegan, paleo, nut-free – whatever you need. I’ve got tips and ideas galore for you! On a recent Trader Joe’s shop, Tony spotted a big pile of Trader Joe’s chocolate advent calendars for just 99 cents each. He asked, “couldn’t you just remove the mold and fill it with dairy-free chocolate?” And we both thought, why not try it?! This did prompt me to think about chocolate concerns, and to come up with some inexpensive, easy, and fun ideas that could suit almost any dietary need! Step 1: To make this inexpensive calendar, I popped it open on both ends and carefully pried the mold from the cardboard calendar (it was glued, but pulled away easily). Step 2: Then I popped out the dairy-based chocolate and thoroughly washed the mold to remove any residue of the chocolate. If you are dealing with a severe food allergy, see my candy molds idea below. Step 3: Next I melted down some dairy-free dark chocolate and dairy-free white chocolate, and used teaspoons to fill the molds. I then tapped it several times on the counter to settle the chocolate into the molds. I used homemade dairy-free, soy-free, nut-free chocolate, which made this calendar even more affordable! Step 4: I placed the mold in the refrigerator and it took just 20 minutes for the chocolate to completely set up. Step 5: I popped the chocolates to loosen them from the molds, but did not remove them, and then slid the mold back into the advent calendar. Finally, I closed the ends and used scotch tape to ensure they stayed closed. A lot of shops, even dollar stores, have cheap advent calendars where the chocolate mold can be removed. 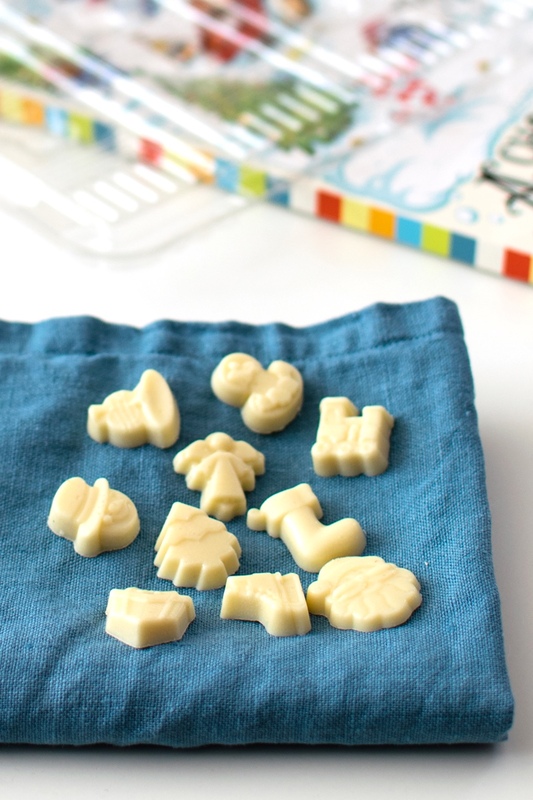 And the beauty is that you can reuse the mold in the future to make more holiday chocolates! But if you have concerns about being able to clean away all of the chocolate residues (and allergens), then you can buy new holiday chocolate candy molds. If you don’t have time to order online, you can usually find molds like this at stores like Walmart, Hobby Lobby, or Michael’s. 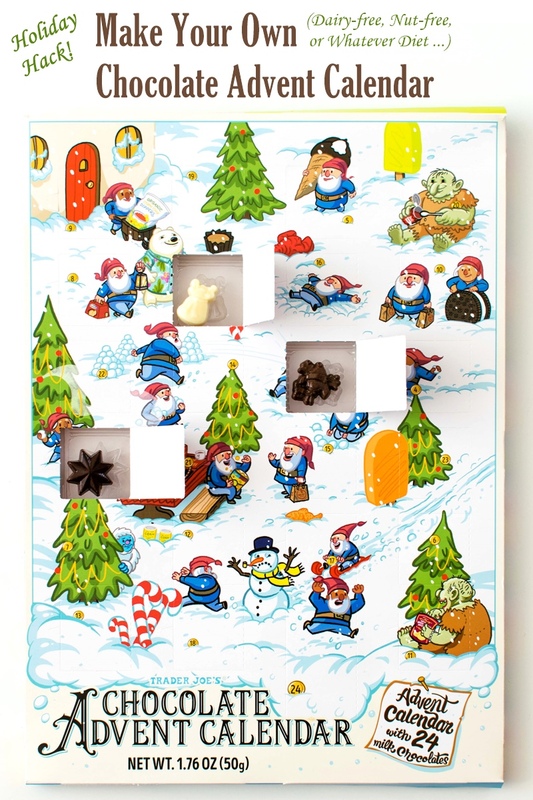 Of course, you will need a calendar to put those chocolates in if you buy your own molds, or if you are reusing a chocolate advent calendar mold. Two of my favorite inexpensive refillable advent calendars are this Aparty4u Garland Style Felt Calendar and their Christmas Tree Pocket Felt Calendar. This Papierdrachen Box Set is also a fun semi-DIY option that people love. If you are short on time, or want to go completely homemade, there are some very cute DIY options out there to channel your crafty side. Or you can keep it really simple with this mini paper bag advent calendar or recycled paper bag advent calendar (decorate as you wish!). 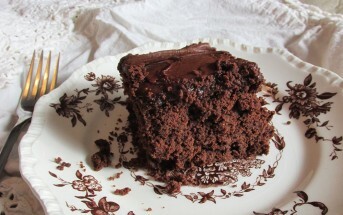 When doing molded chocolate, I love to use homemade. For this chocolate advent calendar, I whipped up mini batches of the Bittersweet Quick Chocolate and White Chocolate recipes from my book, Go Dairy Free: The Guide and Cookbook (2nd edition). There is also a Mylk Chocolate recipe in my book that works great for making your own chocolate shapes. I find it much cheaper to make my own chocolate, and I love being able to customize the intensity, sweetness, and even flavor. If you prefer store-bought chocolate, see my Dairy-Free Chocolate Chip Guide. 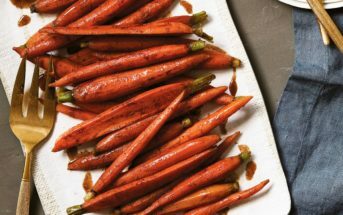 It includes top food allergy-friendly, paleo and sugar-free options, and it includes different flavors of chocolate chips. 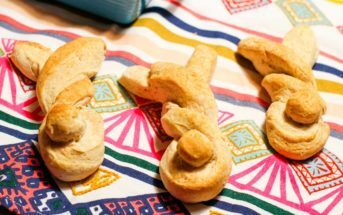 This fun idea can be dairy-free / non-dairy, egg-free, gluten-free, grain-free, nut-free, peanut-free, soy-free, vegan, vegetarian, allergy-friendly, sugar-free, and even paleo! Just use the best chocolate for your needs. This really isn't much of a recipe, but rather an idea and process. See the post above for chocolate suggestions to meet every dietary need, and inexpensive calendar ideas. Serves: As many as you need! 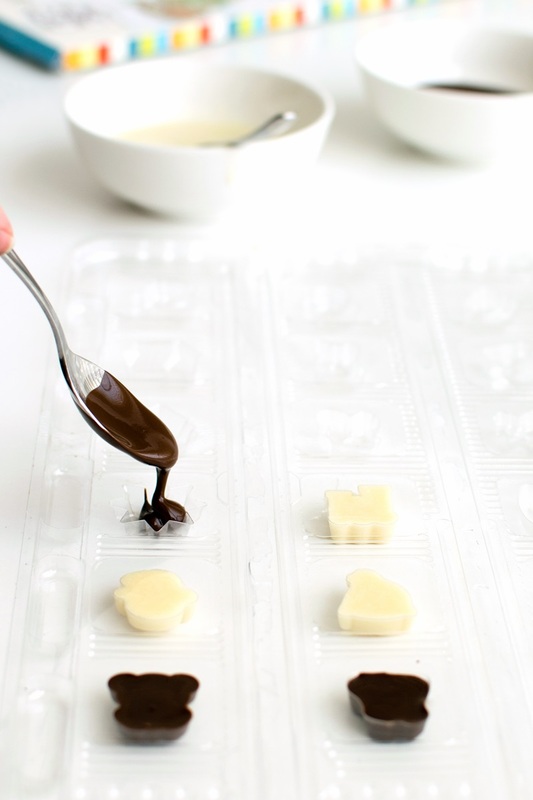 Fill the molds with chocolate using a small teaspoon or a condiment squeeze bottle. Place the molds in the refrigerator for 20 to 30 minutes, or until the chocolate is set. If using a prefilled calendar, slide your new mold back into the calendar and close or seal the opening. If using a fillable calendar, pop the chocolates from the molds and place them in the days. For More of My Recipes & Tips Get Go Dairy Free! Those are great ideas Alisa. I haven’t done an advent calendar due to food allergies but this would be a fun and easy alternative for us. Definitely! They are so easy to make. So freaking smart, and cute! I’ve never gotten into the whole advent calendar thing, but now I want to start a new tradition. Oh I think you need to Hannah! This holiday tradition has your name all over it. This is such a fun project! 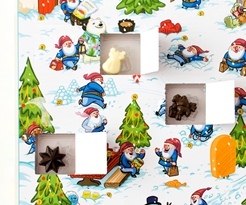 I used to love getting chocolate advent calendars when I was little.